So very excited to show off my gorgeous new website! (Thank you, Emily at Swank Web Design!) The timing could not be better because today also happens to be the first day of my very first blog tour via Prism Blog Tours. (Thank you, Tressa and Laura!) To celebrate I’ve also included a Rafflecopter giveaway. 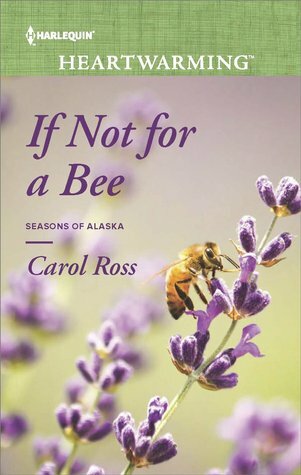 One prize includes a signed copy of If Not for a Bee and a $50 gift card. The other prize is a signed book along with a bundle of fun bee stuff. Be sure to sign up for my newsletter to stay up to up to date on all my latest book news. Thanks so much for stopping by! Hope you’ll stop by and visit along the tour…. What is your motivation behind If Not for a Bee? Why did you want to write it? I’ve never written a character I so badly wanted to give a happily ever after. 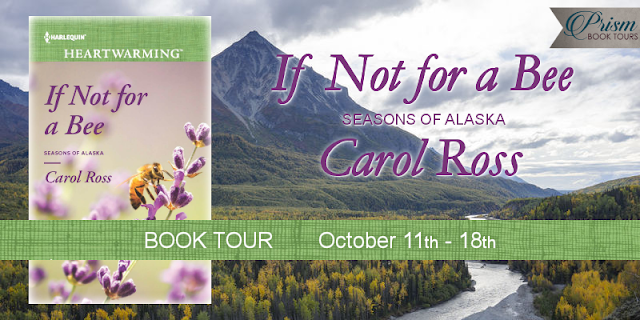 Janie Everett, the heroine in If Not for a Bee, was introduced in Mountains Apart, the first Seasons of Alaska book. In that story Janie is recently widowed with two young boys and pregnant with twins. 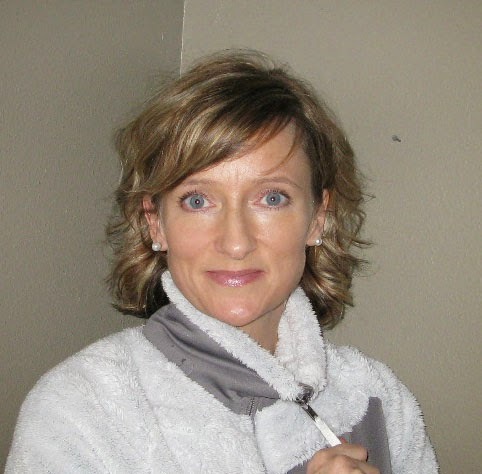 A difficult pregnancy and a premature birth leave her battling both grief and post-partum depression. 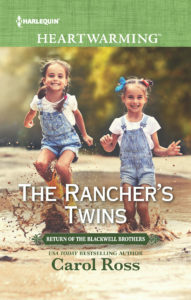 By the time If Not for a Bee takes place the twins are two years old, her older boys are eleven and thirteen. She does what she can to make ends meet, fueled by a fierce determination to be the best mother she can. This woman deserves a happy ending. We all wrestle with challenges of one kind or another. 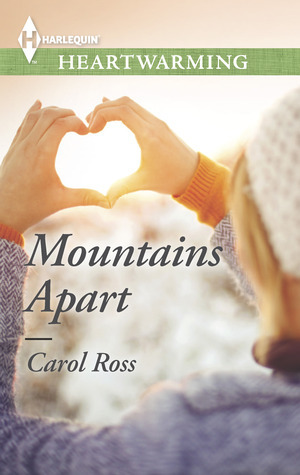 Aidan, Janie and her boys, Gareth and Reagan all struggle with adversity in some form. I think it’s important to face your fears, fight them, smother them, whatever it takes. There is a way to figure out how to work through them. I hope that If Not for a Bee shows how even the most seemingly impossible obstacle can be scaled. Honestly, I like so many scenes in this book it’s difficult to choose. I think this is because I love Aidan and Janie so much. These two flawed, yet unselfish characters try their utmost to do (or not do) what they think is right for others (especially the Everett boys.) But as in life, sometimes the decision we analyze and agonize about and ultimately make still doesn’t turn out to be the best one. She couldn’t take any more of this. She turned to go. But he reached out and stopped her by placing a hand on her arm. “See? I don’t ‘understand’—those are the kinds of statements that make me feel like a bad mom. Telling me my boys have problems.” Even though in her sinking, aching heart she knew he was right, she still didn’t want to hear it from him. How could he understand these complex issues when she didn’t fully comprehend them herself? “Janie, trust me, I know what I’m doing”. Aidan convinces her eventually, but it takes every bit of Janie’s will to entrust her precious children into someone else’s care. Like most moms, she wants to do the right thing for her boys, make the best decisions. But how can you always know what that is? Most of my writing is done sitting on the sofa, feet propped up on the coffee table, my dachshund Lucky glued to my hip. There’s often a cup of coffee and a bag of candy on the end table next to me. I have a terrible weakness/addiction for sugar. You know those king-sized bags of peanut M&M’s? Yes? Okay, well have you seen the size above that? Bigger than the king-sized but a tad smaller than the party size? That’s the size I buy. I can munch through the whole bag and then swear someone broke into my house and ate them. Because surely I did not eat that entire bag in one sitting, did I? San Diego workaholic Emily Hollings doesn’t eat fish, doesn’t wear flannel shirts and certainly doesn’t fraternize with the enemy. So why is she finding herself charmed by Rankins, Alaska—her company’s next development target—and the leader of its hostile opposition, Bering James? She must be more burned-out than she thought. Her professional reserve is slipping. And she’s starting to fantasize about a life beyond work…a life like Bering has here. Maybe they can put their professional differences aside and explore this…friendship. Or maybe she’s just deluding herself. Because one of them has to win. The past has its place…in the past! Innkeeper Shay James has been telling herself for a decade that she’s over her ex-fiancé, Jonah Cedar. But now the Chicago attorney’s come home to care for his ailing grandfather, reawakening powerful feelings—along with painful memories. Shay can’t afford to repeat history. 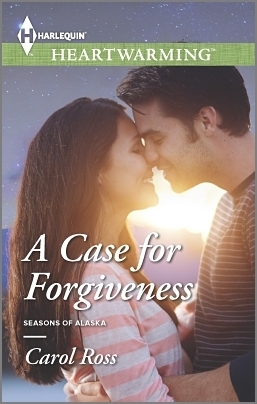 At twenty-two, Jonah couldn’t wait to trade his secluded Alaska hometown for big-city success. Shay was supposed to share that dream. Yet even with unresolved issues between them, their connection is stronger than ever. 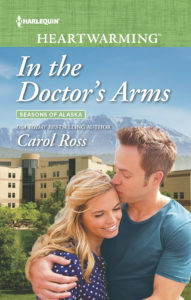 Jonah’s visit was only going to be temporary…until a threat to Shay’s beloved Faraway Inn gives him a reason to stay and fight for that second chance. Thanks for these great giveaways! You’re so welcome, Wendy! It was fun to put the prizes together. Sounds like another winner from you! And have I told you lately how beautiful this website is? GORGEOUS! Thanks, Amy! You’re the best. I love the site, too. So excited to finally have one. I am excited to find a new genre to read. Harlequin Hearwarming stories look like a great find thst I will be engrossed in. You are a new author to me and I feel that I already one the best prize. I discovered you snd now hsve books I need to buy and fall in love with your gracious writing style and unforgettable characters. How sweet, Deana! I love to find new authors, too. I’ve found several in the Heartwarming line myself! Hope you enjoy. Thanks so much for stopping by. Love your website, beautiful just like you. Your books sounds great. I love finding new authors. Thank you so much, Michele. Thanks for stopping by my new on-line hive! I am so looking forward to reading this. Thank-you for the nice giveaway. I really hope you enjoy it, Julie! The giveaway was a lot of fun to put together – so much cute bee stuff out there. Good Luck! Thank you, Denise! I’m pretty excited about it myself. I so appreciate you stopping by! I loved If Not for a Bee–my favorite book so far, and that is saying a lot because I loved them all. I can’t wait for the next one. The website is almost as lovely as you!